The kids are settling back into routine of school, fall activities are in full swing and for many of us it’s time to get back to the daily routine of chores for our kids. Yes, those lazy Summer days are gone until next year and routine is back in full force at least in our home that is. There are many ways to motivate, inspire and organize your kids back to doing the daily chores. One idea we came across is from I Heart Organizing. 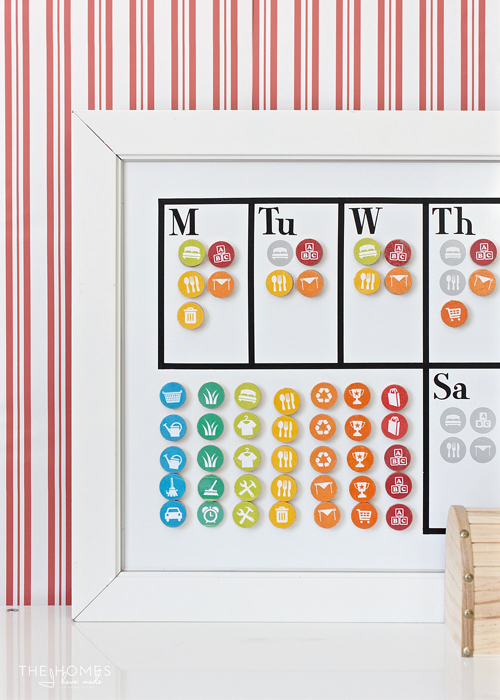 They created a DIY magnetic chore chart system with magnets that are bright, colorful and kid friendly. Each magnet has a picture on it of a specific chore, this makes it easy for even the younger children to join in the chore fun. Click here to read about this easy to create system with step by step instructions. Get ready to begin an organized fall of chores.